You’ve booked your trip to Africa and you’re excited to go on safari to see the big five–lion, leopard, rhinoceros, elephant and Cape buffalo. How will you capture all the wonderful memories? 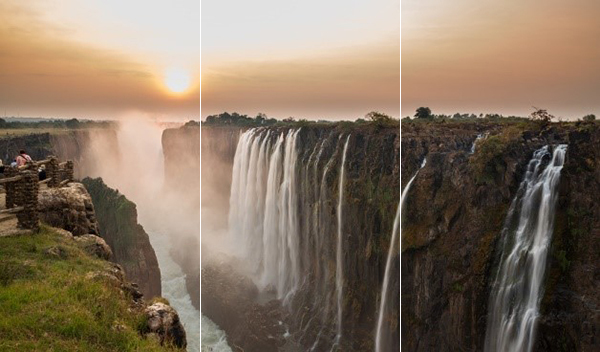 Being prepared with the right photography equipment and a little practice, you can get everything from wide-angle landscape shots of a waterfall or mountain range to close-up shots of a lion or giraffe, on your once-in-a-lifetime trip. DSLR camera. If you currently have a simple point and shoot camera, you might think about investing in a DSLR camera. Prices have come down in recent years and the ability to swap out lenses greatly increases your shooting capabilities to gain both wide-angle and close-up shots. Many times, you can buy a kit that includes a DSLR camera along with one or two lenses, saving you from having to buy lenses separately. Mirrorless cameras are also gaining in popularity; this would be a great option if you are looking for a smaller, more lightweight camera. Wide-angle zoom lens. Using a wide-angle, all-purpose zoom lens (e.g. 18-55mm) will give you great landscape shots (zoomed out to 18mm) and people shots (zoomed into the 35-55mm range). Also recommended is a lens with vibration reduction (Nikon) or image stabilization (Canon) to reduce camera shake and increase image sharpness without a tripod. Telephoto zoom lens. Using a telephoto zoom lens (e.g. 70-300mm) will allow you to take great close-up shots of animals and subjects farther away. In addition, you can get good people shots at the lower end of the zoom range around 70mm. Again, you will want a lens with vibration reduction (Nikon) or image stabilization (Canon) to reduce camera shake and increase image sharpness without a tripod. Backpack. 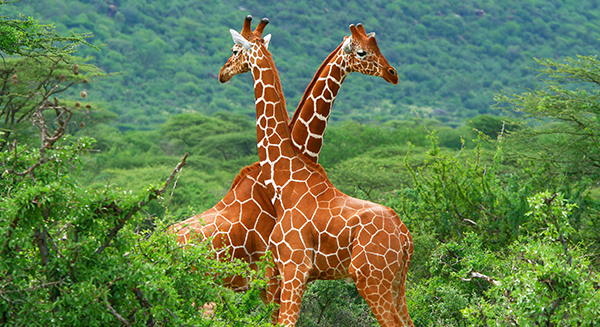 A camera backpack can be an excellent choice for a safari. Not only will your camera and lenses be more protected and easier to carry, the incognito backpack won’t alert thieves to its contents. Bonus — you can store water bottles, snacks and other personal belongings as well! Lowepro makes great camera backpacks and they have a handy buying guide here. Memory cards. You will want to make sure you have multiple memory cards that have a lot of storage capacity. You never know how many photos you will take! Also, if you have a laptop along, it is a good idea to back up your photos whenever possible. Tripod. A tripod can be a great tool for photography but is a bit more difficult to travel with due to its size. If you are going to be taking evening, night or low-light shots, your camera’s shutter speed slows down and a tripod will be essential to getting sharp photos. If your shots are going to be mostly in full daylight, you can safely shoot without a tripod, especially if the lens is equipped with vibration reduction (Nikon) or image stabilization (Canon), as previously mentioned. An extra battery or battery grip. An extra battery can come in handy if you won’t have access to power sources for long periods of time. A battery grip is an extra battery that connects to the bottom of your camera but at a cost of added bulk and weight. Rule of thirds. As a basic composition tip, you want the focus of your photograph to be centered in a third of the shot. In the examples below, the photos are divided up into thirds for visual representation. 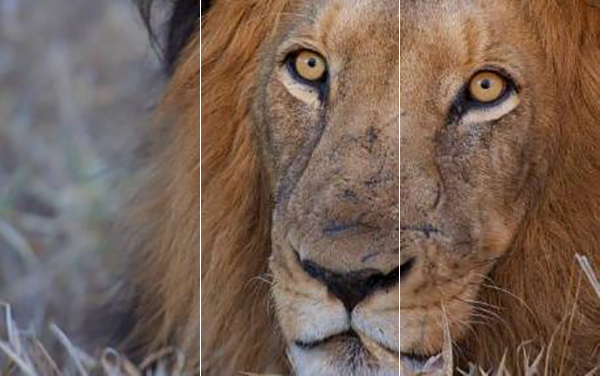 You will see the center of the lion’s head is centered within a third of the photo. On the landscape photo, the focal point is the sun and it is centered within a third segment of the photo. Shooting in RAW file format. While most people use JPEGs as their default file format when using a point and shoot camera, using the RAW format will open up more possibilities in post processing programs like Adobe Lightroom and Adobe Photoshop. For instance, if your exposure was set too light or too dark, you might be able to correct that in post-processing. If you shot a JPEG, you might be stuck with what you have. RAW formats provide much more information and flexibility in post-processing. Get comfortable before the trip. Make sure to give yourself time to become comfortable using your new camera and equipment before heading out on safari. With a modest investment in money and time, you can be on your way to shooting world-class images on your South African trip with Fox World Travel.